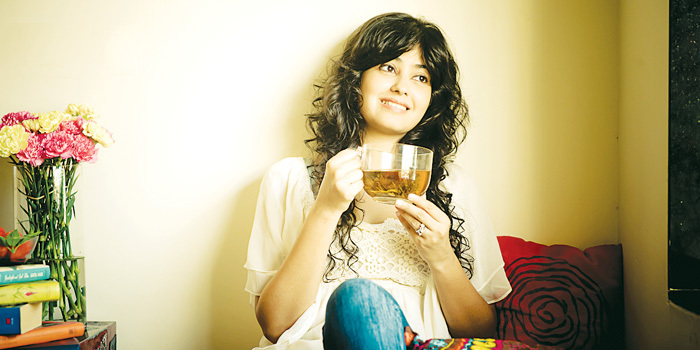 When Snigdha Manchanda walks into a tea estate with her Rapunzel locks, most people need a minute to digest the fact that she is a tea sommelier. a�?Sometimes they even give me a tea test,a�? she says with a laugh. This invariably means having to prove herself by tasting from multiple tea cups and calling out their names for disbelieving staff. Of course, this is childa��s play for the Mumbai lass who not only trained to be a certified sommelier in Sri Lanka, but also went on to specialise in hand-blending teas at Las Vegas a couple of years ago. Nowadays she runs Tea Trunk, a company that caters to tea tours around Mumbai, workshops for enthusiasts across the country and, most importantly, sources fine Indian teas hand-picked from estates. 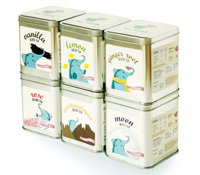 a�?Tea is a seasonal crop, so I usually travel twice a year to Darjeeling and the Nilgiris,a�? the 29-year-old tells us. And she brings home several varieties that range from basic Green Tea to gourmet varieties of Chilli Chai, Saffron Khawa and the uber exorbitant Moon White Tea. The latter is hard to come by, she says, because it is plucked on a full moon night and comes from a single estate in the country. Snigdhaa��s sommelier instincts kick in at this point, and she quickly clarifies, a�?The full moon is not superstitious at all. This is one of those teas where the tea buds are plucked unopened (which adds to the flavour), and on a full moon night, the coolness in the air keeps the buds more moist.a�? Perhaps the most rewarding part of her tea travels is that with an increasing fitness wave, several of her clients are opting to gift assorted boxes of tea over ladoos. In fact, she recalls, a�?One particular couple that was getting married requested a custom-blended tea to present to guests at their wedding.a�? Considering the ceremony was in Tahiti, Snigdha decided to go with a tropical recipe and created a blend of vanilla, pineapple chunks, coconut slivers and bits of lemon grass. With a new year just begun, she plans to launch a wedding selection of teas shortly and Indiaa��s first tea school in Darjeeling by the end of October. a�?It started in school. My mother would make it a point to infuse the water in my bottle with some herb or other,a�? says Snigdha, who developed a reputation as the girl with a�?weird watera��. But she quickly got fascinated with different flavours and requested relatives to bring her teas whenever they went abroad. a�?I would store them in my dada��s old trunk. I remember I had a collection from as far as South Africa and Egypt,a�? she smiles. Does she still have the trunk that inspired the name of her venture? a�?I do,a�? she responds. a�?It sits on my centre table at home, except now… ita��s filled with teas that Ia��ve blended.a�?